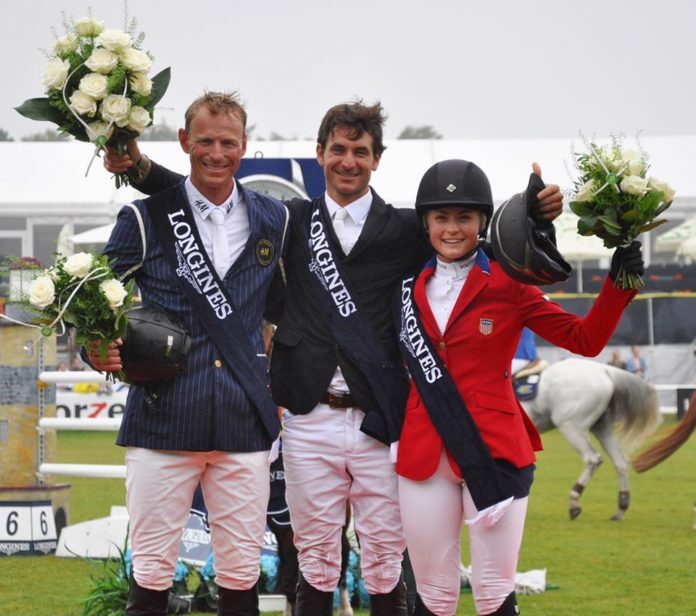 Steve Guerdat with an exact victory of € 200,000 Longines Falsterbo Grand Prix. Olympic gold medalist Steve Guerdat honored his provenance and which Swiss Watch perfectly climaxed his second round to add another 2017 Grand Prix. The course designed by German Frank Rothemberger and a Swedish crown at the Falsterbo Horse Show, watched as one of the greats of the Show Jumping celebrated his fame, when Steve Guerdat added his third Grand Prix won in last month, outlining the former world leader and current world number 11, his intentions to return to the leadership of the Ranking. Introduced with the 10-year-old mare Hannah (Dulf van den Bisschop x Kashmir van Schuttershof) owned by Josef Salgado Negrete, Swiss rider Steve Guerdat completed the second round with 11 qualifiers in 44.00 seconds to take 130 World Ranking Points. While the winner came to 8 FEI wins this year, 6 of them have been Grand Prix, to give him the distinction as the biggest 2017 winner in this type of class. Nothing short of the final outcome of the Grand Prix, with the crown supporting his rider Peder Fredricson, but ultimately finishing second with the 11-year-old gelding H&M All In (Kashmir van Schuttershof x Andiamo Z) in 44.46 seconds. For the Pan-American Ranking the great surprise was the young American Chloe Reid, who achieved a perfect first round and very relaxed next to the 10-year-old stallion Codarco (Darco x Orame), while in second round was very close to conquer the greatest achievement in her short career, but it has certainly been the best result in FEI event, occupying the third place in time of 44.74 seconds. Completed the top five ranked two Swedish representatives with Henrik von Eckermann in fourth place accompanied by the 15-year-old gelding Cantinero (Cento x Cash) in 45.53 seconds and fifth was Helena Persson with the 17-year-old gelding Bonzai H (Baloubet du Rouet x Caletto II) in 50.40 seconds. For the Latino Ranking the Brazilian rider Cassio Rivetti, who presented himself with the 9-year-old stallion Ulahop Boy (Lamm De Fetan x Kannan) was disqualified. Previous articleEmanuele Guadiano wins the Deutschen Kreditbank AG Grand Prix (DKB). Next articleJulien Epaillard repeats at CSI 3* Knokke.